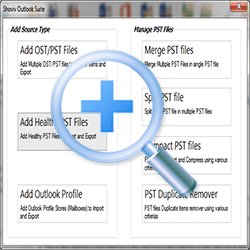 Shoviv Outlook Suite is a multi talented software which helps to manage various Outlook tasks in quick attempt. 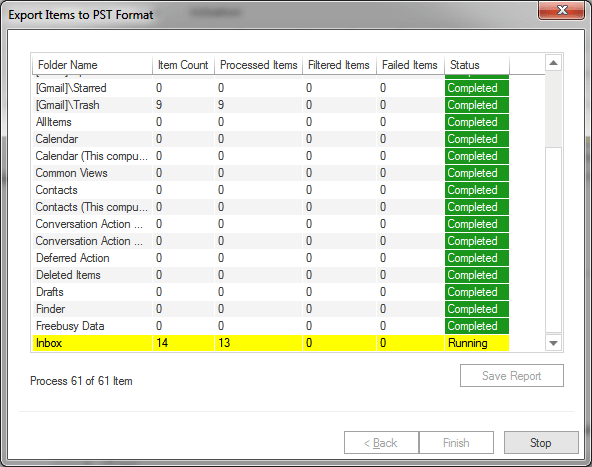 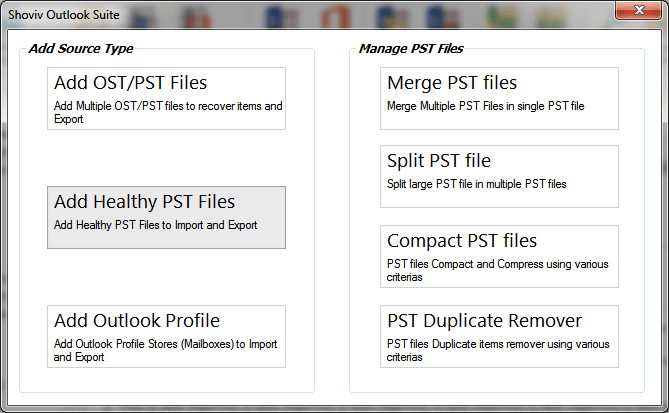 It helps to recover and restore corrupt & non-corrupt OST/PST files without changing items properties and export them in live exchange server, Office 365 as well as Outlook profile store. 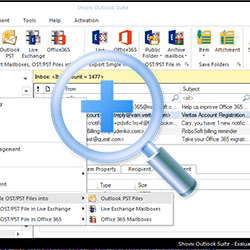 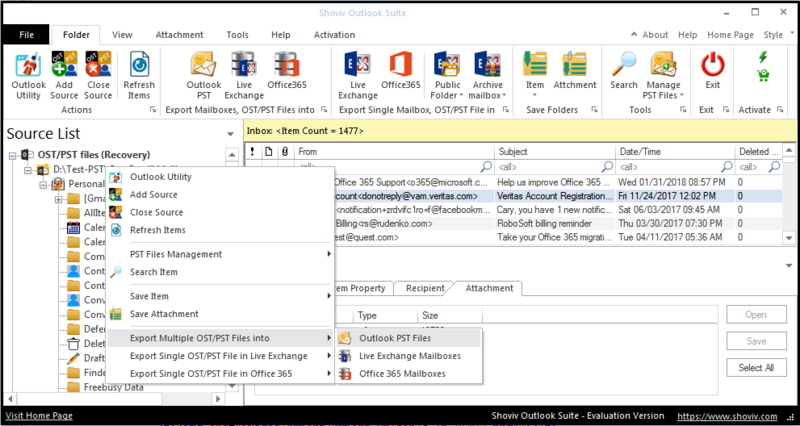 Hence, one can add Outlook profile stores (mailboxes) & export them into Live exchange/Office 365 and new Outlook profile mailboxes also. 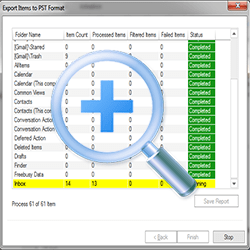 Beside this, the software also facilitates to Split & Merge PST files in single click. 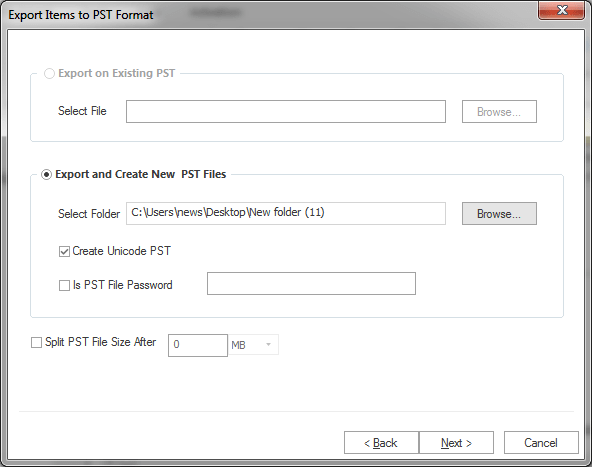 This proficient application is also featured to compact & compress PST files whenever required. 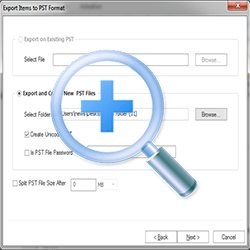 PST duplicate remover is an add-ons option which allows to remove duplicate PST file items in hassle free manner.